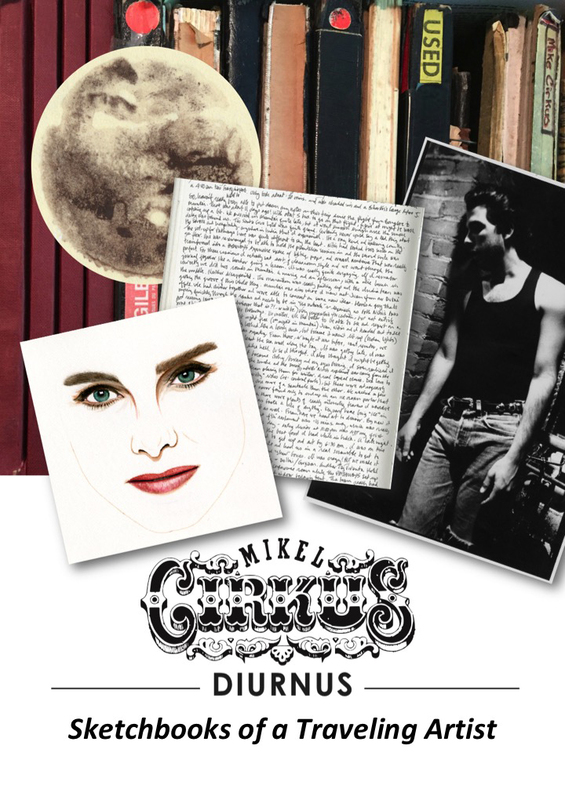 The West Windsor Arts Center presents “Cirkus Diurnus: Sketchbooks of a Traveling Artist,” a playful and profound exhibit of journals and sketchbooks running August 20 through September 7. An opening reception is on Saturday, August 25 from 4 to 8 p.m. The Center invites the public to explore the creative process of cultural anthropologist and trend-spotter Mikel Cirkus. From cities around the world, in 63 journals spanning nearly 40 years, Mikel set out to capture moments between the thought, the pen, and the paper — magic that is slipping away from our increasingly digital worlds. A premier art show, “Cirkus Diurnus” features professional notes, personal reflections, quotes, and drawings. The exhibit features five distinct acts: Fecundity (Our Shared Human Experience); Flying Cirkus (Musings While Cocooned on Airplanes); Rock Dove (A “Coming of Age” Diary); Oenotes (Wine Journals); and Signature (Celebrity Encounters). “You can’t predict the outcome of the sketch or thought you put down on the page,” says Mikel. Mikel Cirkus has spent his 32-year career in creative thinking. As a designer, photographer, illustrator, and writer, he has a unique perspective on the rapidly changing world of trends, content creation, and execution. A modern social anthropologist, Mikel wades through the noise of society to find signals that may dictate the next lifestyle trend. Insights gleaned from traveling the globe have enabled Mikel to see patterns that add cultural depth to brand authenticity. Beyond merely “connecting the dots,” Mikel actively pursues and records emergent consumer trends as they appear at the fringe of societies, merge into mainstream media and ultimately influence the food and beverage industry. He is currently global director of strategic foresight for the Flavors Division of Firmenich, the largest privately-owned company in the fragrance and flavor industry – where creativity is both an essence and a guiding principle. He works with many of the most innovative people in marketing, R&D, technical applications and brand management, on hundreds of products in nearly every category of consumer-packaged goods, worldwide. Mikel is a graduate of the ArtCenter College of Design in Pasadena, California and makes his home in West Windsor.